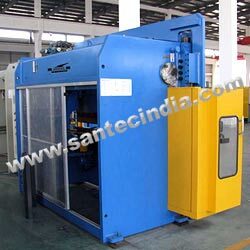 Santec's Hydraulic Press Brakes are highly productive, accurate and economical. Through advanced designing and construction, these press brakes incorporate conventional down-stroking ram design. Easy to operate, hydraulic press brakes provide simplified and easily accessible controls for optimum operator efficiency and output. Featuring stress-relieved, heavy steel plates, the frame of these brakes is designed for optimum rigidity and alignment. Advance engineering/manufacturing process ensures superior precision and durability for years of trouble-free service.